There is a lot of joy accompanied when you become a homeowner. This is independent on whether you are a first-time or second-time home owner. However, there are lots of responsibilities tied to homeownership. They include settling off your property taxes and paying your mortgage premiums. For those renting, you are used to a particular property management company or landlord that does most of the repairs and structural maintenance. Therefore, by becoming a homeowner too you need to repair and maintain your whole home since it is your top responsibility. As a homeowner, you may find it easy remembering the dates scheduled for your furnace maintenance and when to clean your gutters. If you have an appliance that needs to be serviced, you may remember it easily too. However, you should also include your roof maintenance in your to-do list. If a tiny roofing problem is not attended to in time, it not only is a safety hazard but translates to other complicated problems like mold and leaks. For your home’s value to appreciate, it is imperative to have your roof as structurally sound as possible. During sale, however sound your structure might be, a single roofing problem might depreciate the value of your property. So always ensure your roof is in great shape. Generally, most homeowners are reluctant when it comes to maintaining their roofing so they notify a roofing contractor when a problem is seen. To avoid such last minute rush, you may have a local contractor visit your home once annually to visually inspect your entire roof. If there is a problem, the inspector will tell you if it requires immediate attention or not. We are licensed as a full-service contractor specialized in both residential and commercial roofing located out of Durham. North Carolina. Indeed, we serve both Durham and its neighbourhood. To us, there is no such a thing as a small job. If you need to maintain your roof, we will pay your home a visit with an experienced inspector who will visually inspect your roof before giving you a written quotation that is free from any hidden costs or extra charges. We have served a lot of customers in Durham for a number of years now, and through our commitment, we have established a strong bond with all our customers due to their satisfaction. We have a big team of experts that is able to attend to any issue or problem however complicated it may be. We have enough knowledge on every type of roof since we have handled a lot of residential, commercial and emergency roofing services. This implies that we can work on any roof be it gabled, flat, pitched or any other custom-designed roof too. Products used are of top-notch grade while all trained roofing technicians are both insured and licensed. Moreover, our technicians are knowledgeable in the latest health and safety recommendation. Actually, every technician has enough electrical knowledge since they do a lot of commercial roofing. 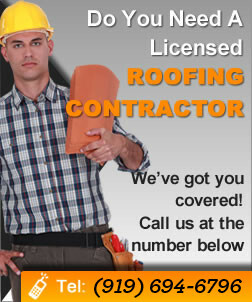 Why Pick Us As Your Top Durham Roofing Contractor? There are many reasons why you should pick us as the roofing contractor of choice. First, we give you a chance to go through our customer testimonials since they are our word-of-mouth advertisers. 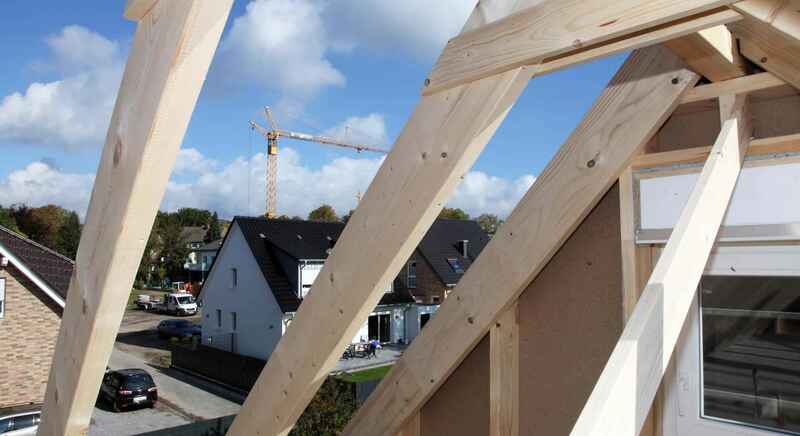 Having been in the roofing business for quite some time, we have won our customers hearts by happily providing them with free quote that include a detailed estimate. Well, not all roofing companies offer a written quote that is free from any hidden cost. We still do not ask for pay for the entire duration we are in your property like most companies do. We are always ready to present ourselves when there is an emergency services needed. To have us at your site, simply call us anytime of the day, 7 days a week. If the emergency is sudden, then be assured of our presence within the shortest time. We still have reasonable rates for any of our emergency services. Since your family safety comes first, rest assured that your roof will be handled by a team of full licensed technicians. To us, there is neither a small or big job. To know how we can be of help to you, feel free to call R&B Durham Roofing today through (919) 694-6796 and get a chance to speak to our customer support team that comprises a professional staff ready to give you a free quote.